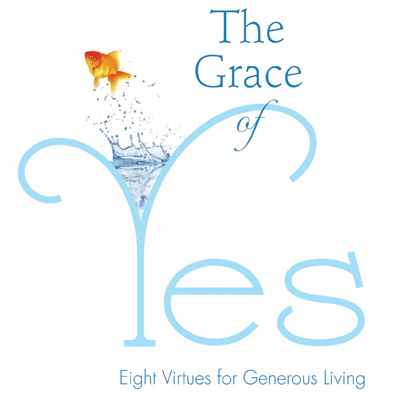 On Tuesday, November 18, 2014, social media will be exploding with uplifting stories of people who are embracing the "grace of yes"! The Grace of Yes Day is inspired by Lisa Hendey's latest book, The Grace of Yes, which offers a guide through eight virtues that can help anyone to say "yes" to God. Participating in the Grace of Yes Day is simple: just share a post on social media about how you or someone you know said yes to God on Tuesday, November 18, 2014. Use the hashtag #graceofyes to share your story with other participants. What are some ways you can say yes to God? Being extra generous with your time. Sharing your creativity with others. 1. Update your social media profile photos with The Grace of Yes images: Facebook profile, Twitter profile. 2. Update your social media cover photos with The Grace of Yes images: Facebook cover photo, Twitter header photo. 3. Ask a friend: "Did you say yes to God today?" We are recruiting Catholic bloggers to join in this event as well. 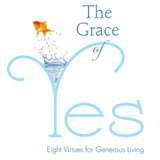 Click here to get content ideas, images, and other resources for the #graceofyes day! Follow the #graceofyesday Posts on Twitter!